ENGLAND. Middlesex. London. Wm. Webster (1821-1885) Brass Farthing (20mm - 3.13 g). WM. WEBSTER / SUCCESSOR TO WM. TILL / 7 Gt. 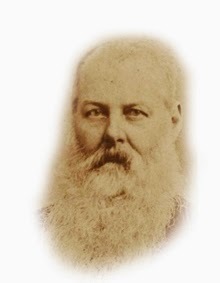 RUSSELL ST. COVt. 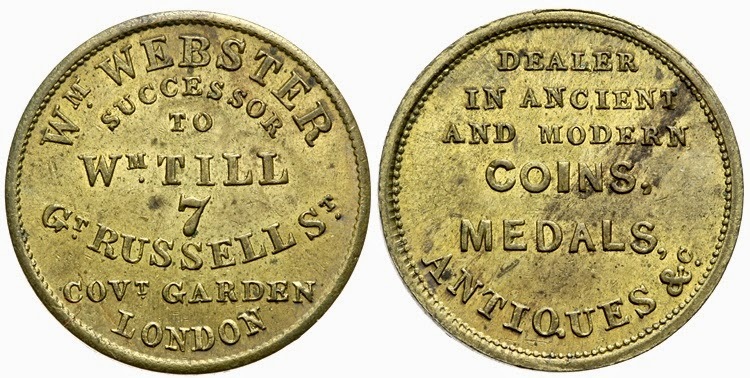 GARDEN LONDON / DEALER IN ANCIENT AND MODERN COINS, MEDALS, ANTIQUES &c.. BWS 2990; Bell 29; Batty 569. His address was actually 17 Gt. Russell St, Covent Garden but this token is an example of a rare error address as reported in a sale of a similar example by DNW 13 Mar 2002. Webster was active as a successful coin and medal dealer from 1851-1885 and this token likely dates from this period.